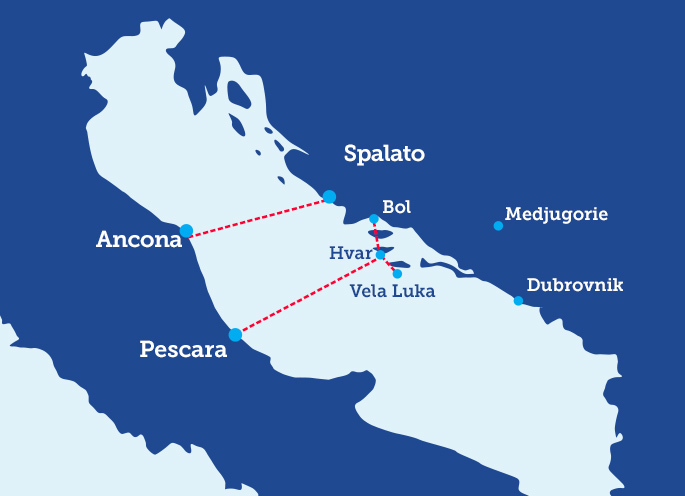 With SNAV Ancona-Split cruise ferries, you can reach Dalmatia quickly and safely, at the discovery of Split and numerous tourist destinations nearby. 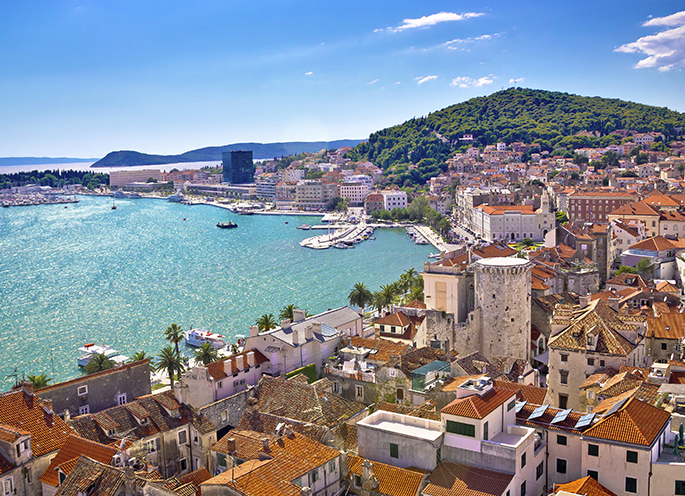 Split roads are an open book, its buildings tell about a long and exciting past characterised by many populations and dominations that left artistic and cultural testimonies unique in the world. Split is above all an art city: among the countless attractions are the Palace of Diocletian and the Golden gate, while nearby, there are the archaeological excavations of the Roman city of Salona and Kastela. Numerous museums and cult places are worth visiting, like the theatres and arenas that host important festivals and music events, especially in summer months; the city also offers an assorted selection of restaurants and trattorias where it is possible to taste typical dishes of the Croatian cuisine. The chief town of Dalmatia, Split, is the ideal destination for those who prefer a holiday characterised by art and culture; however the city is also a departure point for those who enjoy the sea and beaches: in fact, the main bathing areas of the Dalmatian coast (Zadar, Dubrovnik, Hvar islands, Brac and Solta) can be easily reached from Split. Set between the Adriatic Sea and mountains, coastal cities and villages offer charming landscapes to tourists, with a mild and temperate climate and a clear and transparent sea. Book now online your ticket on-board Ancona-Split cruise ferries and get ready to live an unforgettable holiday in this corner of Croatia!